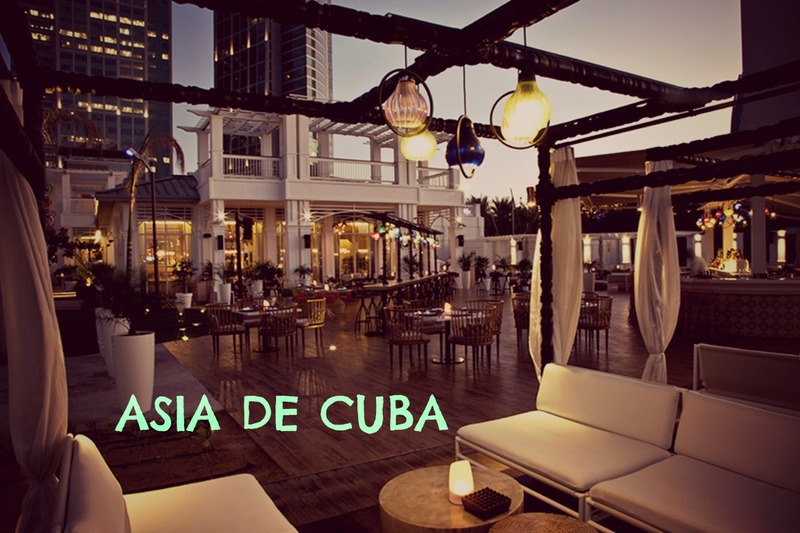 We are happy to be invited at Asia De Cuba last month. 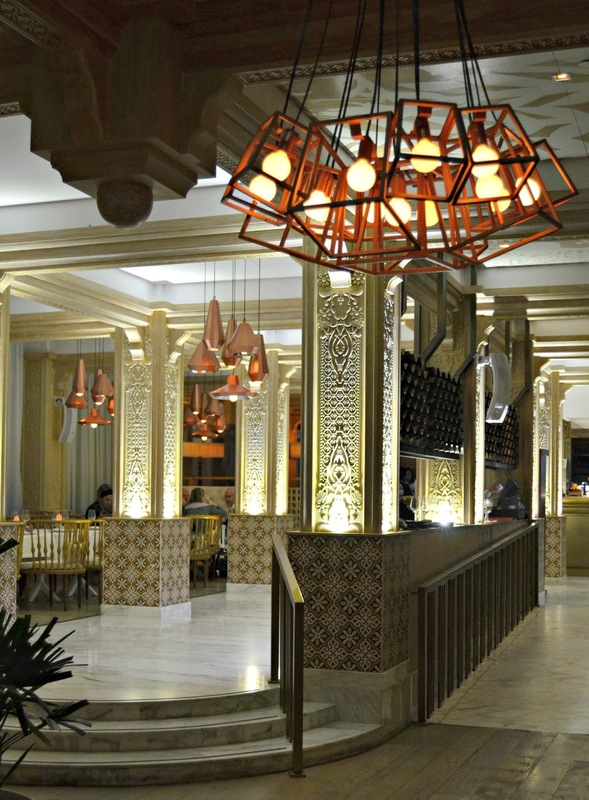 It is located at the St. Regis’ prestigious Nation Towers Beachfront on the Corniche; Asia de Cuba Abu Dhabi made its UAE debut in January 2015. Designed by Ian Baylis, the multi-faceted space encompasses a lounge, restaurant and beach deck complete with outdoor bar and stately cabanas with mesmerizing views of the Arabian Gulf. Upon entering the restaurant, we are greeted with a smile from staff. 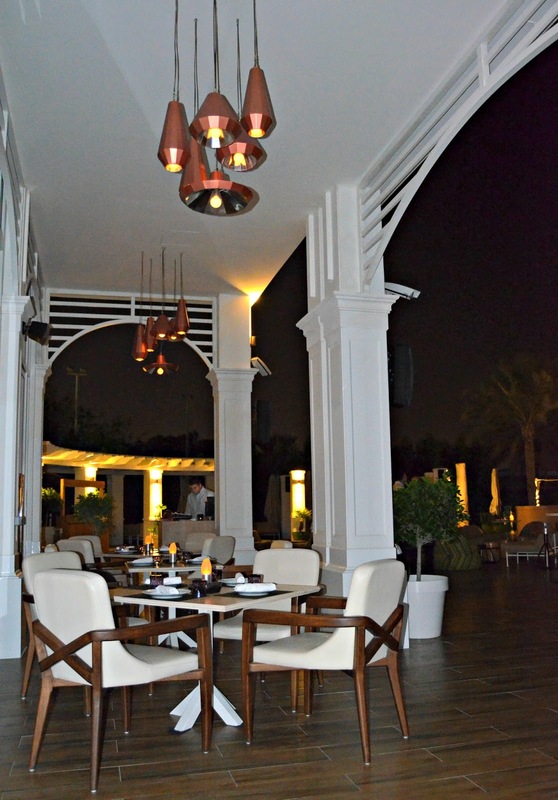 We are accompanied inside to let us choose what table we want and we choose to stay outdoors near bar area. The ambiance is relax and a bit classy. After we are seated, they present the influencer menu to us. 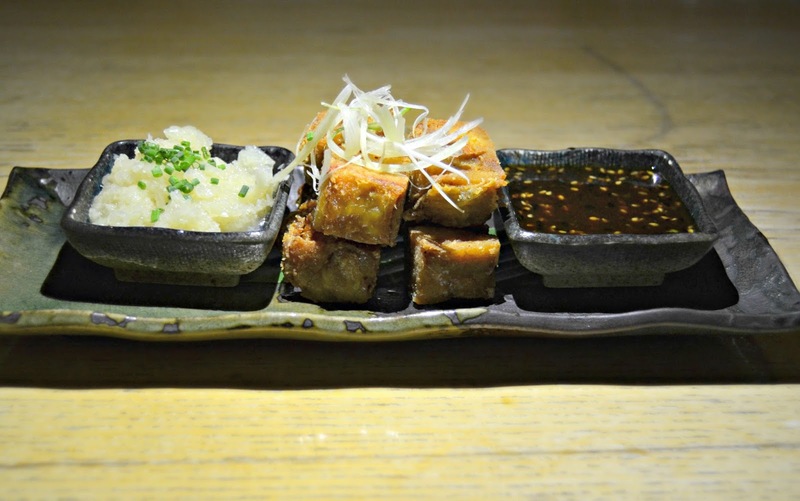 It is crispy chicken with traditional mojo or honey soy glaze. For starters, I think this is one my fave so far. It somewhat similar to Filipino food called 'tokwa't baboy'. It is a fish soaked in thai chili, red onion, cilantro and plantains with a crispy sweet banana on the side. As far as my concern, I just tried just a little amount of this since I am not allowed to eat not cooked fish. 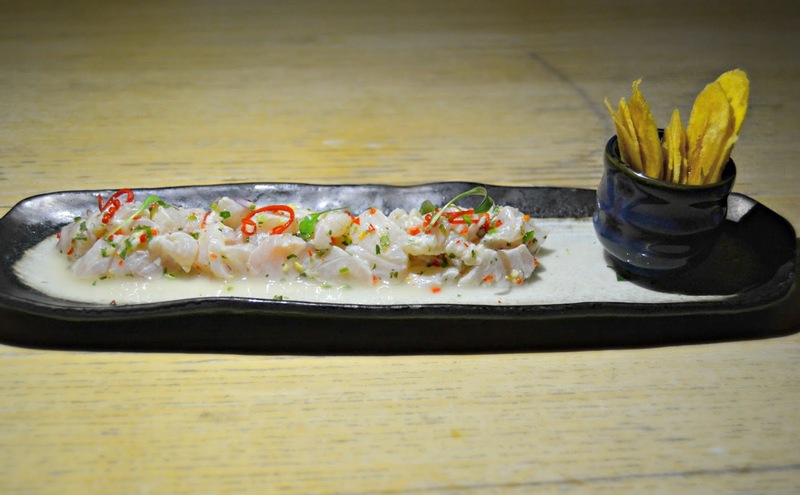 It's a great a starter as well and reminds me of 'kilawin' in Filipino food. 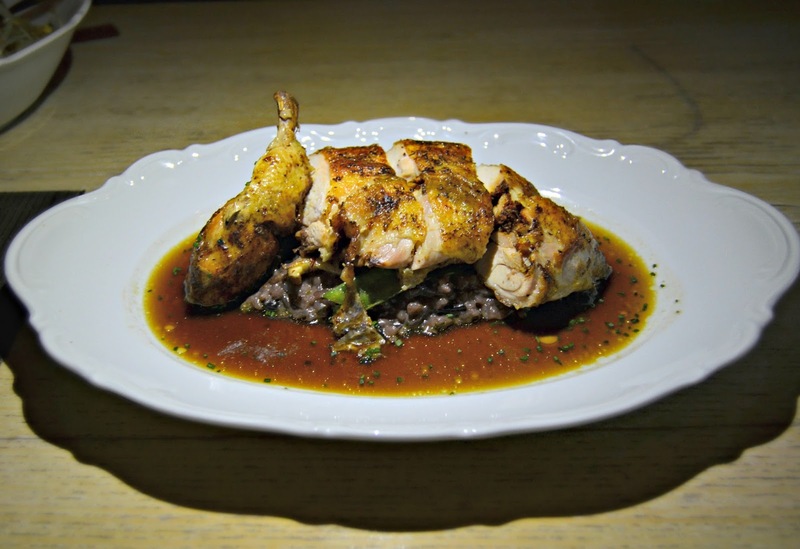 It has a tangy taste and the sauce blends well. 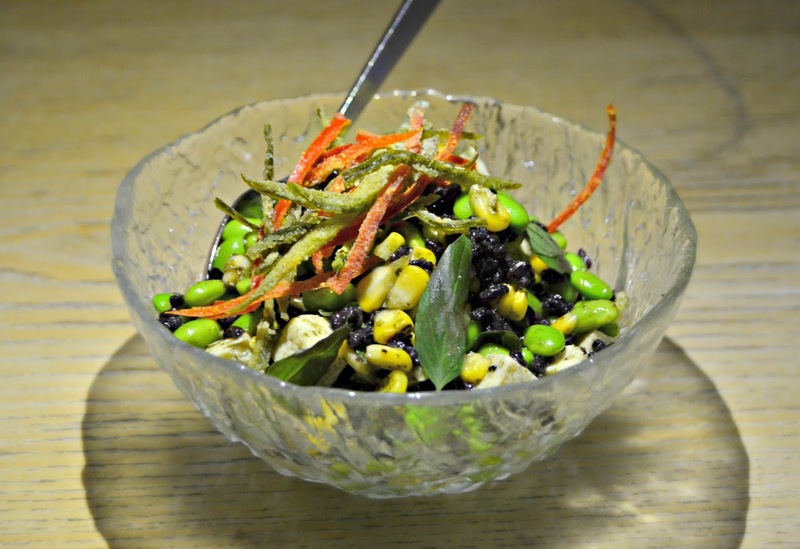 It is a salad with black rice, grilled corn, tofu, crispy chilies and of course edamame. I love the healthy benefits of eating this and I can say that it is a great salad for veggie lovers. 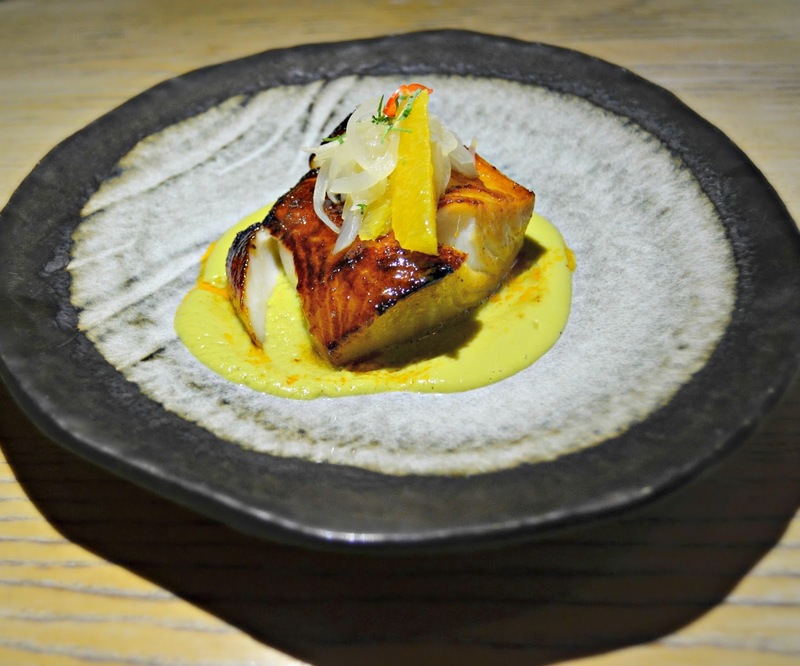 For entree, first we are given the ROCOTO MISO GLAZED BLACK COD. I may say that I am impressed with the taste of this and I'll definitely order it the next time I come back in here. It is black cod which is fish that is grilled to perfection. The sauce is a mixture of avocado poblano puree and orange mojo. It is very soft and the sauce just complement well with it. As what the name says, it is a mixture of seven spices. It has creamy congri, snow peas, shitake mushrooms, maduros and pan jus. It taste great with rice I guess, as to make it my main course. 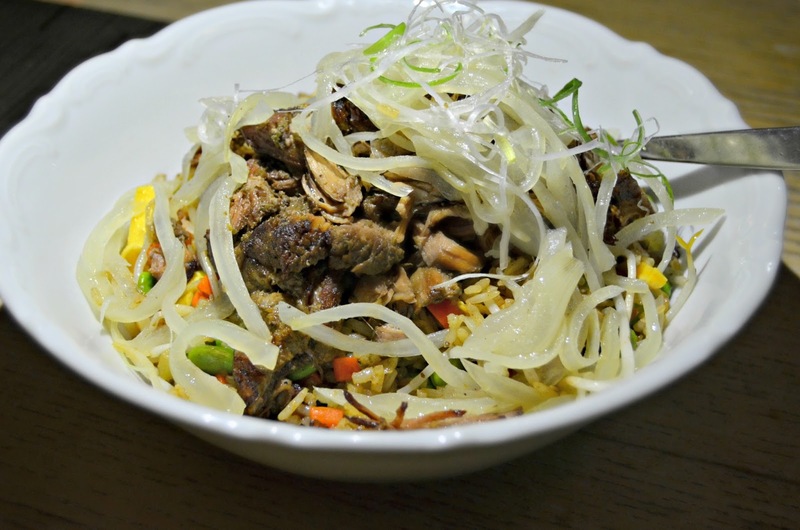 It is a braised lamb with jasmine rice, edamame, mung bean sprouts and egg. I actually didn't like it at first because I'm not eating lamb but my husband told me just to try it once, so I go ahead. I'm actually impressed because it doesn't taste much like lamb but beef instead. After that sumptuous entree, we pause for a while to enjoy the vibe and ambiance of the place. They played cuban, reggae songs and some Enrique Iglesias tracks. 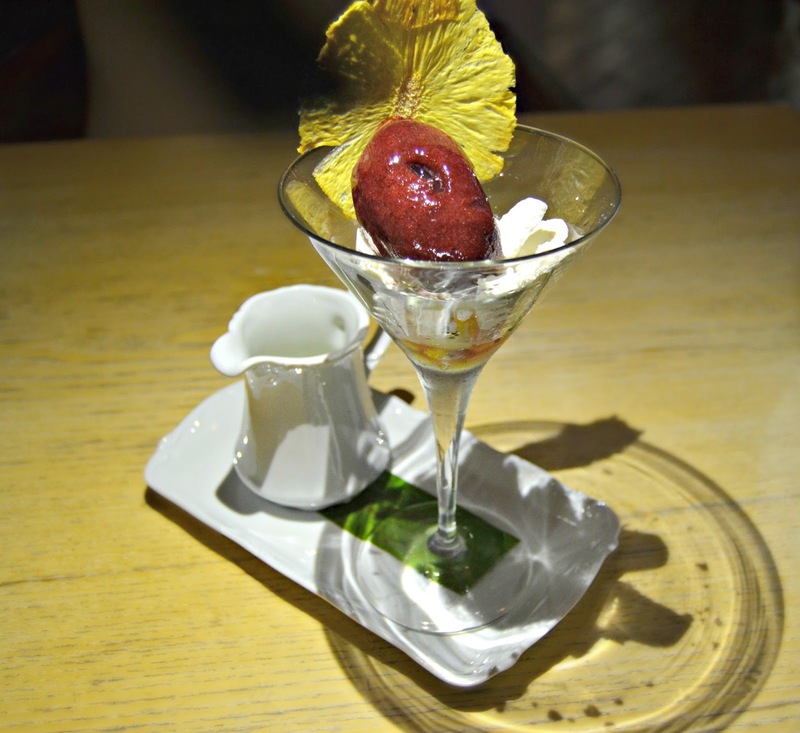 It is an ice cream with meringue, yuzu and coconut water on side if in case you want it more sweet. I love the taste though by that time it is freezing cold since we stayed and dine outdoors so I didn't finish it. 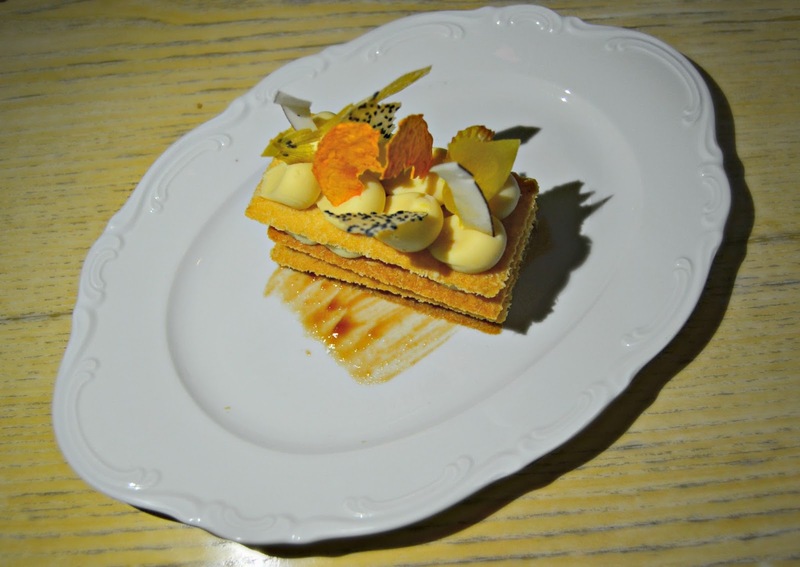 This is the most amazing desert I ever tried in Abu Dhabi. I swear that it taste better than how it look so I might say that this is perfection on my tongue. I even loved it because of the guava and I miss the taste of it in our hometown, Philippines. 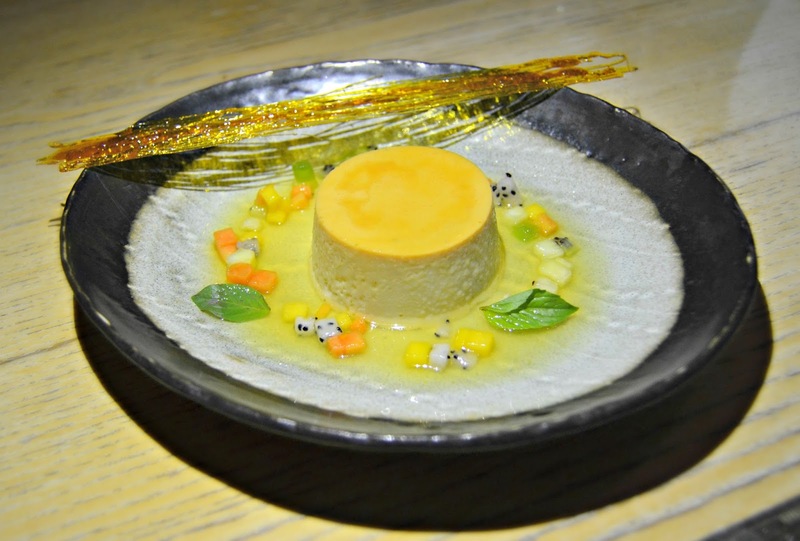 It is a flan with honeydew and caramel. Filipino's are known in making leche flan like this and it's one of our favorite desserts. I might say that it taste fine but not that sweet, it is perfect to pair with tea or coffee. Overall, I am impressed with the service and ambiance of the place. The servers and staffs are very courteous and attentive. 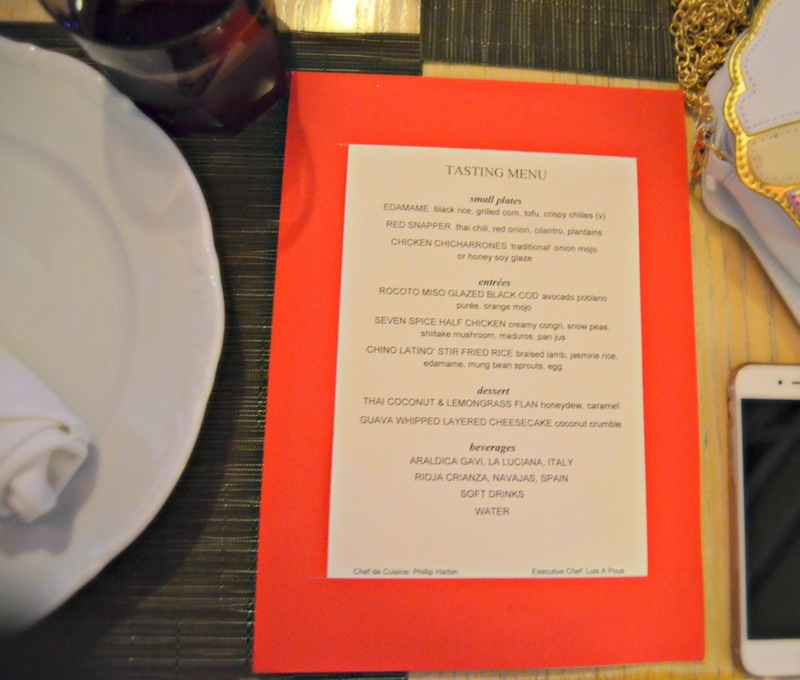 As for the food, I love the umami taste of it since as Filipino, we are known for tasteful foods. My faves are chicken chicharones, rocoto miso glazed black cod and guava whipped layered cheesecake. As for the price, I can say that it is average for a fine dining restaurant. I will give this restaurant 4/5 star. We definitely had a great time there and will definitely come back.